High performance ILT value engineered to minimize running costs and downtime. 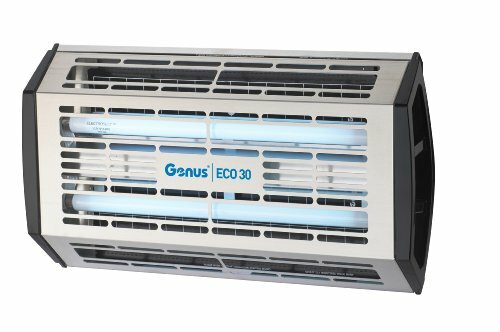 Genus ECO30 is quick and easy to service and maximize fly attraction through the punched front cover. Robust construction for high insect activity. Wall mounted horizontally or vertically. Lift and stay hinged for both hands free servicing. Value engineered to offer competitive pricing. Requires 312502-00 Universal Glue Boards.